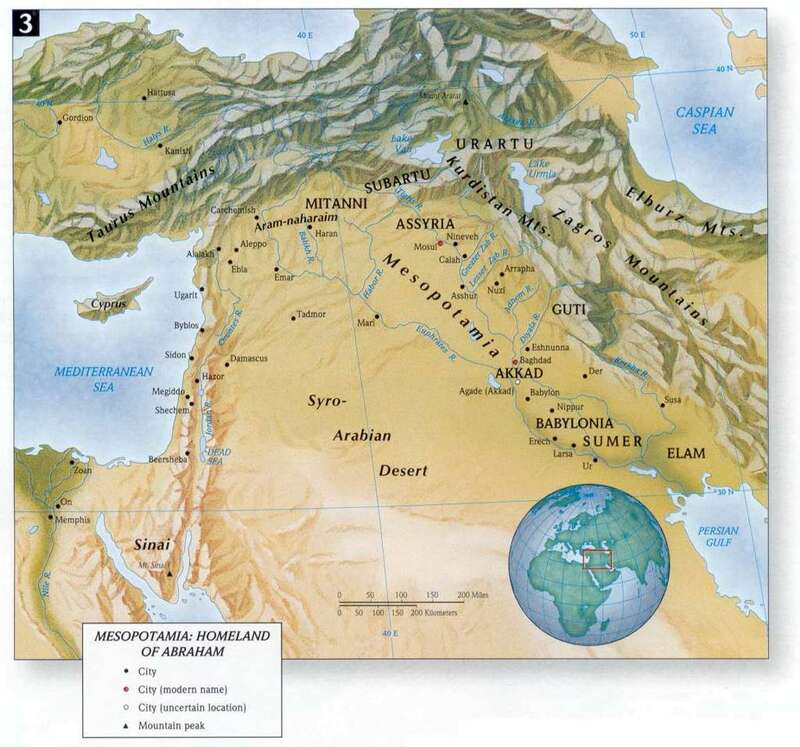 This map provides a closer look at the cities and states in Mesopotamia, the region where Abraham lived before God called him to go to Canaan. Source: Seek the old paths. 1 pages.